For those of us who have ever purchased a beach tag, taken a twilight stroll on the sand or sidestepped a tram car, heading to the Jersey Shore is more than a quick getaway to our favorite exit off the Parkway: it’s an annual rite of passage. 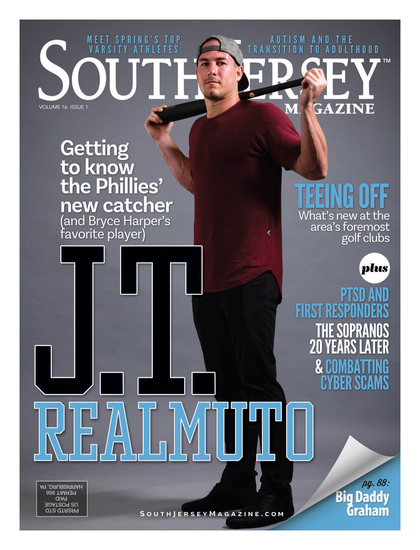 Which is why we are so excited to bring you this latest issue of South Jersey Magazine. Inside these pages, we take a look at what makes our summer escape so special, from Long Beach Island to Cape May. We spent days (some sunny, some colder and one terribly windy) traveling the coast to see what’s new, what’s hot and what’s coming next, in an effort to bring you our most amazing Best of the Shore issue yet. We’re confident that it will serve as a guide not only for this year, but for years to come. Also this month, you’ll get to know some of our area’s Top Dentists in a new light. When we decided to photograph some of them enjoying their hobbies, we had no idea we’d get such varied and interesting responses. Turn to Page 76 to check out this year’s list, and to find out which of these doctors enjoy fencing, boxing, sculpting and more. Before I leave you this month to prepare for July’s highly anticipated Best of the Best issue, I wanted to note that this Shore-centric edition of the magazine is particularly special to me thanks to a very personal connection. In 2008, I met the love of my life—though unknowingly at the time—on a seemingly random night in North Wildwood. After spending the following months getting to know each other over skee-ball matches and sun-drenched days on the beach, we decided we were experiencing something much more than a summer romance. Now, a few years later, we are to be married on June 4. Thanks Jersey Shore, we owe you one.